Windle Trust International awards Undergraduate and Postgraduate scholarships to youths and refugees in Sudan, South Sudan, Uganda and Kenya and other African countries to study in Africa or UK. For now, only applications from Postgraduate Ugandan students are open. Apply now. Eligible Countries: Applicants are from Africa preferably from the countries of East, Central or the Horn of Africa (For now, only applications from Postgraduate Ugandan students are open. Please check back for when applications for your country opens). Eligible Field of Study: Preference is given to subjects that offer a high probability of future employment and are of direct value to development. However, the trustees do not exclude the support of students whose fields of study have a more general application to Africa’s needs. About the Award: Windle Trust International is a registered UK charity located in the University city of Oxford, with offices also in Sudan, and sister organisations in Uganda, Kenya and Ethiopia. The Trust’s work is funded by a wide range of donors and supported by universities and colleges in Britain and Africa. Windle Trust International provides access to education and training for those affected by conflict in Africa. The Trust equip talented young Africans to meet the challenges of development in their own countries. The Trust’s activities include sponsoring study in schools, universities and colleges in Africa and in the United Kingdom, and intensive English programmes to enable refugees and others caught up in Africa’s conflicts to access training, employment and community leadership roles. Windle Trust is keen to encourage applications from women and individuals from other particularly disadvantaged groups. This includes those who are resident in the refugee camps and settlements, those who have lost close family members to war or conflict, as well as those who are particularly vulnerable such as people with disabilities and those who have themselves been victims of violence. Eligible applicants are welcomed from all religious backgrounds and ethnic groups..
Competition for scholarships is high. Overall: Priority is given to applicants of particular merit taking into account academic ability, need, development impact, leadership potential and personal qualities. Status: Applicants should be refugees, internally displaced or be otherwise affected by conflict. For the purposes of eligibility applicants with degrees graded “First Class”, “Second Class, Upper Division”, “Distinction” or “Very Good” are considered to be the equivalent, with the exception of medical degrees that are not classified. Non-medical degrees that are ungraded or unclassified must have achieved a minimum GPA of 4.0 out of 5.0 or 3.2 out of 4.0 to be considered. Degrees graded “Second Class Lower Division”, “Good”, “Third class” or “Pass” are not eligible. Candidates with degrees from Sudanese Institutions (other than medicine, dentistry and pharmacy) are required to have a BA/BSc honours degree. Work experience: Applicants for postgraduate sponsorship are required to have at least two years of professional or volunteer experience relevant to the subject they wish to study. Age: Applicants for postgraduate study should be under forty years old. Location of study: Most of the postgraduate study opportunities available are in the UK. Applicants are only considered if they can satisfy the trustees that they are committed to returning to Africa after their studies. Duration of Scholarship: Priority is given to applicants for postgraduate programmes up to one year in length. English Language Ability: Due to requirements for admission to universities in the UK, applicants short listed for placement on the UK programme will be required to sit an IELTS test and achieve a score of 6.5 or above. Scholarships are promoted and advertised through Windle Trust offices in South Sudan and Sudan, and our affiliated Windle Trusts in Uganda and Kenya. Applications are checked and assessed against basic Selection Criteria in the country of application. Applications and supporting documents of candidates meeting the basic criteria are considered for interview shortlisting by in-country selection committees. Candidates are interviewed. Those short-listed for interview are advised to start arranging the process of taking the English language test (IELTS) and score at least 6.5 and not less than 6.0 in all components, as this is a usual admission requirement of UK Universities. Interview reports, together with the application forms and supporting documents, are assessed by a final selection committee to decide which candidates should be placed on the “priority list” of selected students for placement on scholarships in the UK. Once a candidate is selected and on the Priority List, UK programme staff work intensively with the candidate and the universities to seek the most appropriate course of study. The priority list is a pool of potential candidates for placement and has more candidates than places available in any one year (Usually, over 80 selected applicants). Candidates who cannot be placed in available scholarship schemes, for one reason or another, remain on the priority list for a maximum of 3 years. Confirmation of the scholarship is given as early as possible, in order to give the candidate time to apply for a visa and prepare for travel to the UK. UK Postgraduate Scholarship Opportunities for Residents of Uganda open on 15th February, 2018. 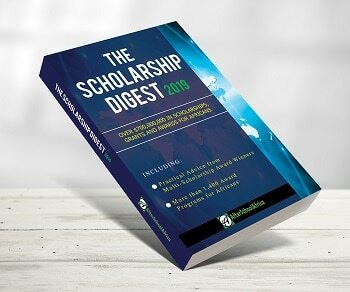 Please read the information on the Scholarship Webpages (see Links below) but DO NOT APPLY for a scholarship until your relevant country advertisement appears on this page, or on the page of one our partner offices.